The world of instagram is addictive, inspiring and completely unrealistic, says Stephanie Toms. 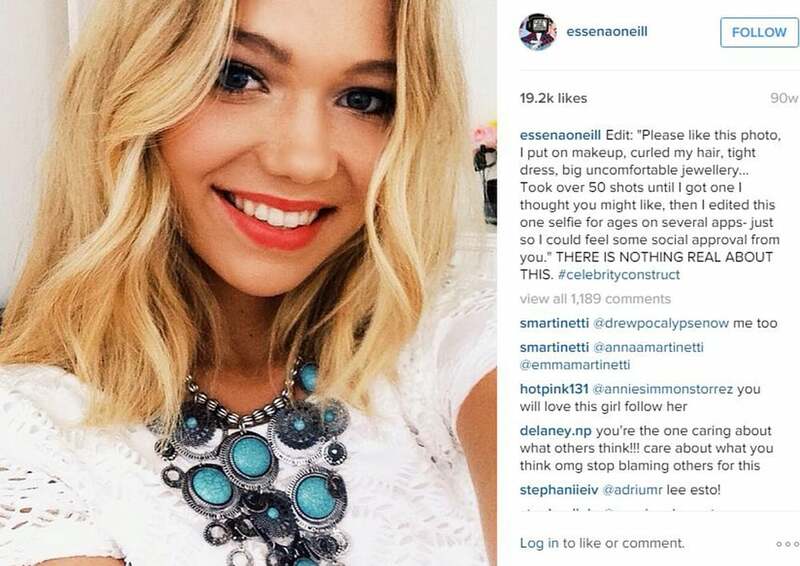 When Essena O’Neill - a 19-year-old Australian girl with over half a million followers on Instagram - decided to leave the app because it depicted ‘contrived perfection made to get attention’, the online community divided into two camps: one supporting her choices, the other claiming it was all just a mere marketing ploy. In today's society, the number of followers on a person's profile is more than just a status symbol - it's almost a form of currency. The 'influencers' (as they're so commonly known) rack up their numbers with perfectly curated images and softly lit selfies and quite literally create their ideal world for all to see on the world wide web. The higher the number of followers, the more influence these creators have. The more influence they have on others, the more appealing they become for potential advertisers. And the more appeal they have, the higher they can charge for sponsored posts. For many ‘professional ‘grammers’ it’s no longer about sharing a candid holiday snap for friends to see, it’s about advertising. It’s about business. These days, a new breed of photo editing apps have gained traction in the online world, with hundreds if not thousands of apps on the market allowing users to alter just about everything about themselves: eye colour, hair colour, skin smoothness and even the shape of their bodies altogether. You name it, there’s probably an app for it. Of course, photo retouching is nothing new for the most of us, having grown up alongside edited ads and idolising photoshopped fashion models on the covers of our favourite magazines, but now it appears as though countless young girls and boys are looking at these doctored snaps completely unaware of the work that goes into making them so-called ‘Instagram-worthy’. Some are even going as far as calling this editing tactic a form of selfie-surgery. No where near as pricey as the real thing (with paid apps starting from just 49 pence a download), but far more detrimental for today’s youth. But it’s not just young adults struggling to say no to the social site. Girls as young as ten years old can be found posting images of themselves using the hash tags #beautypaegent and #hotornot, in hopes of obtaining their own ’Instagram fame’. Their judge? The same as the rest of the world: Instagram’s 100 million users - and they’re not always the most welcoming of critics. The average user spends over 250 minutes each month on the app, checking up on their favourite accounts and hash tagging their way in an attempt to make it onto the popular page. If a picture doesn’t meet the creator’s expectations (ie. 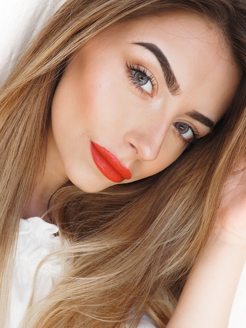 if it doesn’t get enough likes or, worse, if the influencer actually loses followers) it’s not uncommon for bloggers and instagram celebrities to delete certain uploads to save face, as well as their own ego. In fact, research from the University of Buffalo in New York has shown that those who base their self-worth on the way they look are more likely to share photos of themselves on the internet in an attempt to seek validation from their audience. They’re also said to often have more followers than the average because of this. So when Essena O’Neill decided to delete the majority of her Instagram snaps last year in an attempt to prove to the world that ‘social media is not real life’ it left a sour taste in the mouths of some - specifically, Nina and Randa Nelson - fellow Youtubers and former friends of the estranged internet star. The girls then went on to explain their thoughts on Youtube where they described O’Neill as ‘fake’ and ‘delusional’ - citing that she only decided to quit social media following a recent split from her boyfriend. The nineteen year old Australian, who now is now the face behind the website ‘Let’s Be Game Changers’ previously admitted to creating ‘thinspiration’ mood boards on her wall as a youngster, skipping meals and eating as little as possible in a bid to obtain the look she was so well known for on Instagram. Youtubers Nina & Randa spent the summer with Essena in their hometown of LA. They say her decision to quit social media is nothing but a 'hoax' and that their friendship was far from 'fake'. But for others, social media has been a platform that promotes confidence, rather than condemns it. Having struggled with anorexia for years, blogger and Instagrammer Megan Jayne Crabbe decided to share her journey of recovery on the app in a bid to inspire others and help them learn to love their bodies, no matter the size. And with over 100 million different bodies on the app, it’s safe to say that there’s no shortage in diversity on the internet. Sponsored or not sponsored, candid or curated, the direction of a creators account still remains very much that - in the hands of the creator. Whether they choose to promote detox teas to pay the rent or simply share a selfie when they’re feeling fresh. For once, it’s not the media controlling what we see. It’s us.